To the casual observer, Dallas might seem like the land of chicken fried steaks, barbecue, and burgers. While we own that gastronomic greatness with pride, our city has also in recent years welcomed a good many restaurants focused on whole foods, local, fresh, and veggie-forward menus. 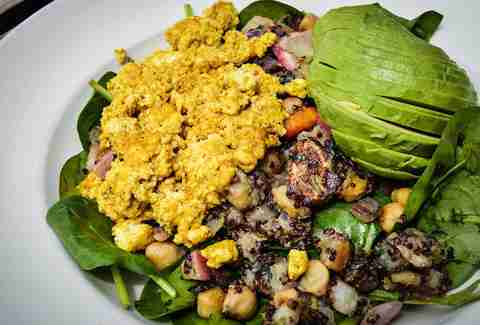 Dallas diners -- not just of the vegan and vegetarian variety -- have embraced this health-conscious movement heartily, from fast-casual stops like Unleavened Fresh Kitchen, to restaurants with vast offerings of good-for-you eats, like Mudhen. 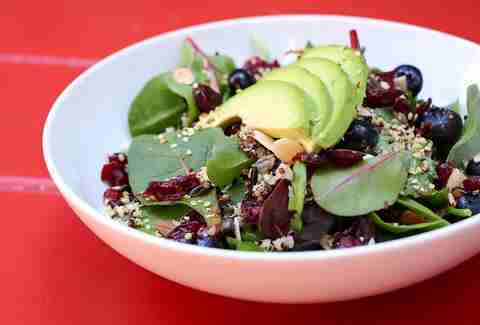 Here are 10 places to explore the healthier side of great dining in Dallas. This lively spot with rustic touches and an incredible rooftop made its name with minimalist build-your-own bowls mixing proteins and veggies. Now you'll find as many diners crushing a plate of cochinita nachos or a kobe beef burger as you will those eating a stir-fry or kale Caesar. One thing they all can agree on? The greatness of HG's craft cocktail program, which highlights seasonal elements along with the menu. The stated mission of this low-key North Dallas eatery is to create amazing vegan Asian entrees, and if the rahs and raves of its regulars are any indication, it's succeeding. Kung pao tofu, Vietnamese vermicelli bowls, and zucchini pho reflect the menu's span all across Asia for culinary inspiration. And even plates like shaken "beef" and lemongrass noodles will have non-vegans swooning. Like manna from healthy-food heaven, Start descended on Dallas to provide a healthier, but just as speedy, alternative to fast food -- behold its drive-through window! Instead of chicken-esque nuggets and deep-fried everything, however, the menu -- spanning breakfast, lunch, and dinner -- features free-range, grass-fed burgers, egg-white burritos, wraps, and salads, among other better-for-you brilliance. The extensive selection of sweets and baked goods on display at this spare, minimalist outpost should tell you Green House, while skewing towards healthy, still knows how to let loose. It is, after all, serving up health-conscious fare at a mall. 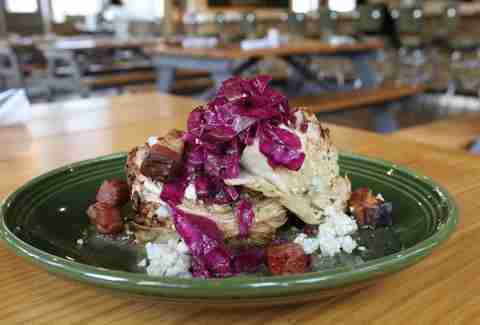 Vegetable-forward (though not solely vegetarian) sandwiches, salads, and stir-fries starring locally sourced goods dominate the menu, with fruit and veggie juices and those aforementioned sweets on hand to top things off. A local favorite for its long list of juice blends and smoothies that can be kicked up with everything from hemp seed to bee pollen and ginger, GEM's cheery storefront also turns out from-scratch lunches made in-house. Soups can be eaten hot or picked up cold on the go, and salads feature a range of super-food superstars like dandelion, kale, and quinoa. Company Cafe draws out neighborhood regulars happy to chow down grass-fed chicken-fried steak, sandwiches with gluten-free buns, and vegan bowls. Eat well now, then return for brunch with the B.E.A.T. 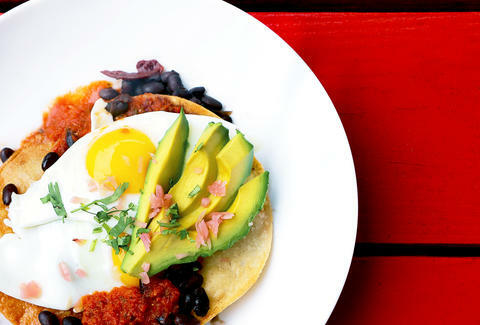 (bacon, eggs, avocado, and toast) and the Johnny Rooster fried chicken and pancake plate enticing diners back for more. Vegans and carnivores alike craving meat-free takes on classic comfort foods flock to this vegan restaurant's Dallas and Fort Worth hubs. The kitchen goes all-out in re-creating mac & cheese, queso, burgers, and even the occasional poutine for palates that avoid meat. Brunch is popular, thanks to tofu scrambles and pancakes, and the vegan dessert program is nearly legend. Coming from the team behind the winged creature-themed duo of the Meddlesome Moth and Bird Cafe, Mudhen drew high expectations in dishing out a farmers market-heavy menu, and it's largely succeeded. Talk about fresh: if your favorite vegetable isn't checkmarked on the chalkboard of produce, it ain't available that day. Luckily, you have plates like the Iron Man Reuben, the pork plantain poutine, and a slew of garden-themed cocktails to console you. The B.Y.O.B. 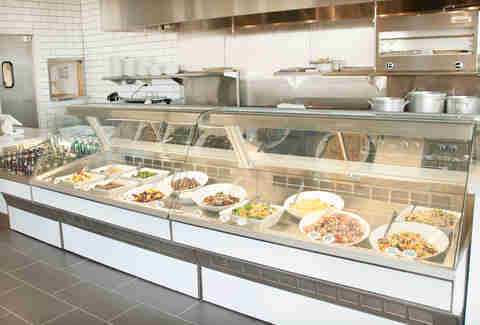 (build your own bowl) is an easy way to get a taste of numerous kitchen specialties. 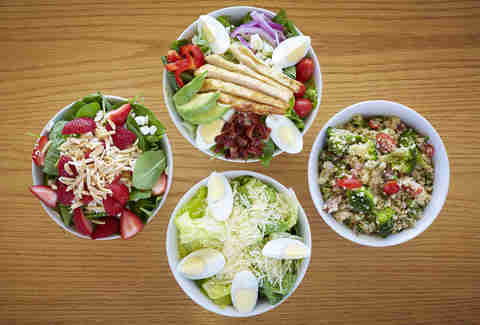 If picking from a huge choice of thoughtfully sourced proteins and vegetables to dream up a bowl, salad, or wrap isn't enough of a healthy-eats fantasy, know that Freshii also specializes in fruit-studded yogurt and freshly pressed juices made to order, and nurtures an eco-friendly mien, too. That means the chain's biodegradable packaging is made from vegetables, and that it designs its stores with an eye toward being smaller than average to save energy. This bright, clean-lined storefront in Lakewood is co-owned by a chef, as proven by the fine-tuned menu of wraps and salads. 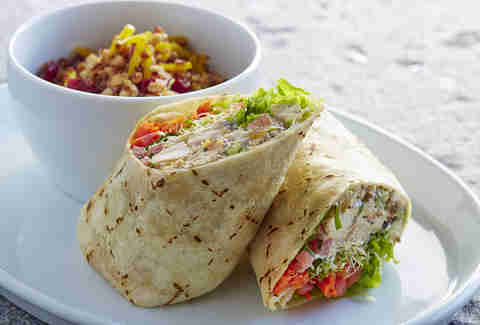 You can order any lunch or dinner item as a salad or wrap, with the latter available in gluten-free form. Stuffings run the gamut from buttermilk fried chicken, pepper bacon, and Boursin spread (Weekender), to veggie sausage, garden sprouts, tomato, and avocado (Market Offer). Breakfast items like granola, acai bowls, and quinoa porridge round out the menu. Farah Fleurima is a Dallas-based food & travel freelance writer who also considers herself a thoughtfully sourced protein. Dig in to her meaty musings at The Dallas Diva and on Twitter at @TheDallasDiva.